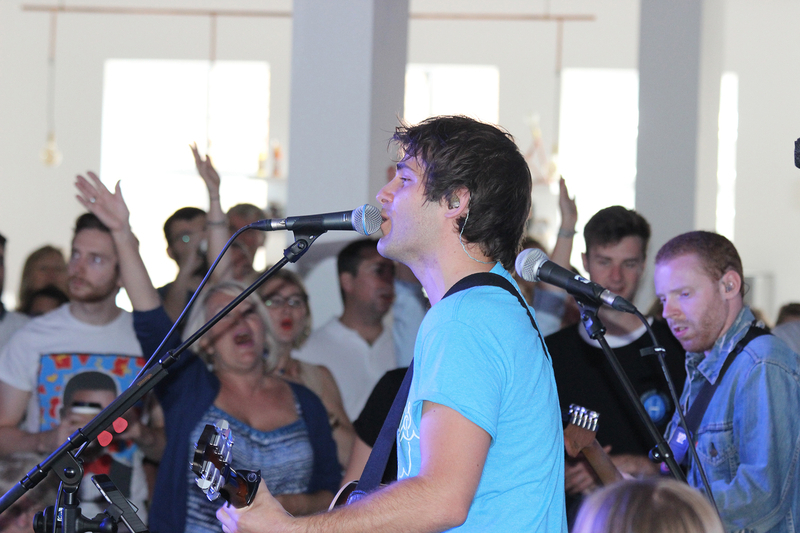 PORTSMOUTH’S newest church has been launched – with a real party atmosphere. 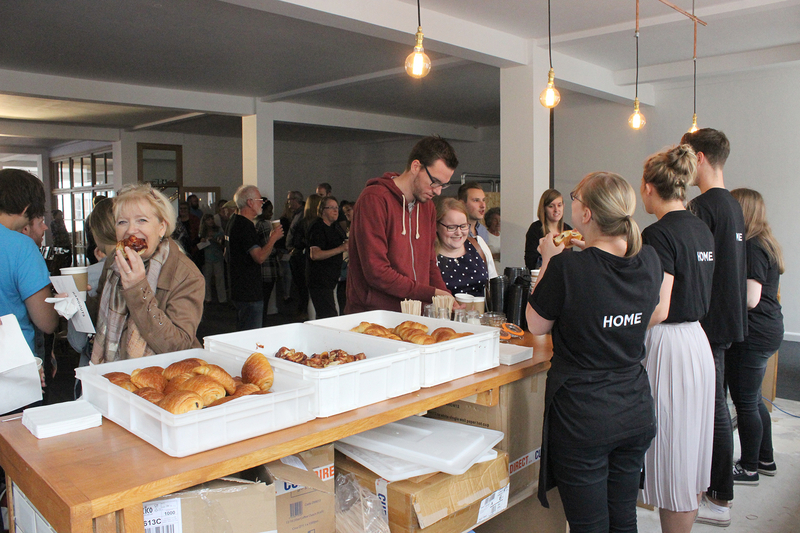 Harbour Church, which has been created in a refurbished department store in the city centre, held its first ever Sunday service after a summer of preparation. Around 200 people squeezed into the worship area on the first floor above Sprinkles ice cream parlour in Commercial Road. They enjoyed real coffee and pastries, modern worship songs, a lively sermon and chilled-out children’s groups. You can see more of our selection of stunning photos from the launch here. 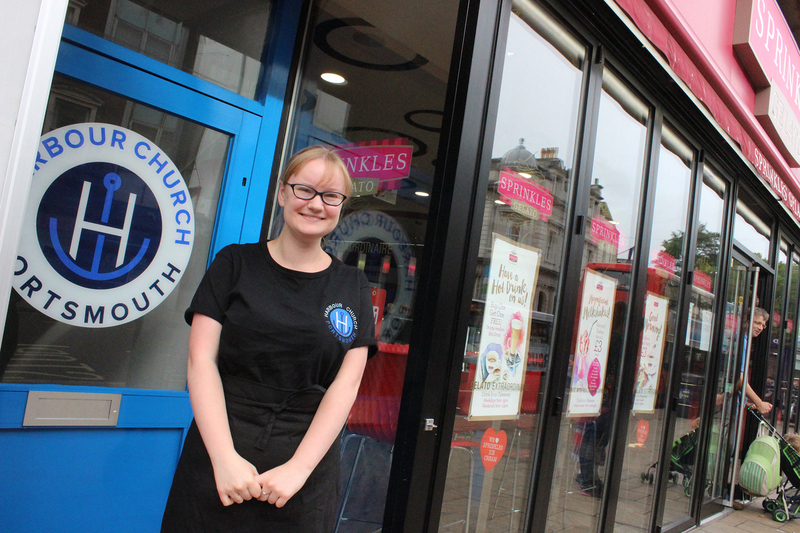 The church has been created as a ‘church plant’ from St Peter’s Church, Brighton – 30 worshippers have moved jobs or started university courses in Portsmouth to form the core congregation. For this first service, they were joined by a few well-wishers from other churches, and large numbers of newcomers who wanted to check out what they had to offer. Among them were Peter and Elke Haworth, and their children Sophie, 10, Samuel, 7 and Sarah, 5. Peter said: “We moved to Portsmouth about a year ago and have been looking for a church like our previous one in Burgess Hill. One of our friends liked this place on Facebook and it seemed similar to our previous church. Portsmouth’s Anglican diocese asked to work with St Peter’s, Brighton, to create a church that would specifically appeal to students and young adults – although all are welcome. The new congregation also aims to improve the lives of the homeless, those with addictions, the unemployed and those in debt via a series of community initiatives. Among those who have moved from Brighton is Lauren Meredith, 22, who will start a course in criminology at Portsmouth University this autumn. For the first service, she was involved with leading children’s work. The Bishop of Portsmouth, the Rt Rev Christopher Foster, was also there to pray for the church’s new leaders. He said: “We’re pleased to welcome everyone here, especially those from this locality. If you did just happen to pass by, wondered what was going on and came inside, then we’re thrilled that you are with us. And in his sermon, the new vicar, the Rev Alex Wood, said: “We want this to be a place where we experience God’s transforming love and show that love to others. When you are loved, you can love those around you. The launch of Harbour Church is just part of Portsmouth’s diocese’s £2.4m strategy to create new worshipping communities across south-east Hampshire and the Isle of Wight over the next five years. The strategy, which has been supported by a £929,000 grant from the Church Commissioners, also involves employing a network of pioneer ministers to create new congregations and to help existing ones to engage more effectively with local communities. Three of those six pioneer ministers have already begun work, in the Leesland area of Gosport, in the PO9 postcode of Havant, and in Cosham and Wymering in Portsmouth.